This product is mainly used for putting photos, certificates, and other necessary documents. We can make in any sizes and any kind of paper. We offer ready to use photo frames in distinguished sizes and designs. 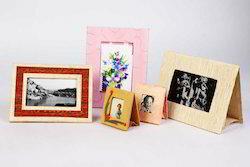 These Photo Frames that we offer are of polystrine (Fibre) material. You can place photograph to give attractive look to interior. As we are themanufacturer we do undertake bulk orders for photo frames, picture frames and also certificates frames. We offer Ready Photo Frames in distinguished sizes and designs. 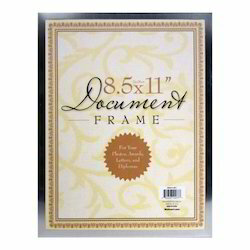 These Ready to use Photo Frames that we offer are of polystrine (Fiber) material. You can place photograph to give attractive look to interior. As we are the manufacturer we do undertake bulk orders for photo frames, picture frames and also certificates frames.